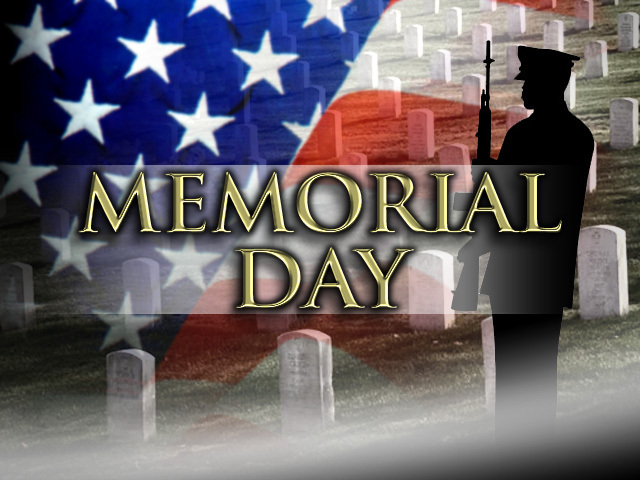 Memorial Day is a time to remember former and present service members. I want to wish everybody out there a wonderful Memorial Day. Hopefully, everybody can spend some quality time with their families and the people they love and remember what this holiday is about. A special thanks to all those men and women who have so bravely and honorably served this country. The courage and sacrifice of all who died in military service will not be forgotten.